CHICAGO -- Eclipse Select Soccer Club defender Fiona McKenna has had quite a bit on her plate in both athletics and academics. The Hinsdale Central High School junior will continue to do so in college as she has made her verbal commitment to play for Princeton's women's soccer team, as well as its hockey team. "I'm really excited," McKenna said. "All of the hard work has paid off." McKenna will play soccer in the fall and hockey in the winter. And it was a former Eclipse Select player who got her to thinking that a two-sport Ivy League path could be possible. "From the beginning I knew I wanted to go Ivy League because they have the best academics," McKenna said. 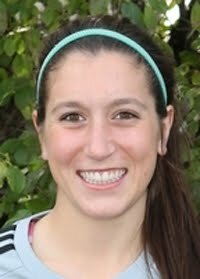 "Crysti Howser (a Wilmette native and New Trier graduate) played for Eclipse six or seven years ago, and she played both sports at Yale. I heard about it from family and friends and I was inspired." 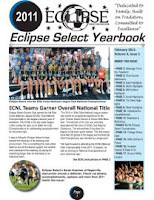 Check out the 2011 Eclipse Select Yearbook, complete with the past year's accomplishments, action and team photos, alumni updates and much more!